Has Google Ever Seen a Goddamn Hamburger? America, these are troubling times we live in. All the more reason we need to talk about the real issues dividing our great nation: namely, have any of those soft, simpering eggheads at Google ever even seen a damn hamburger? Maybe some of you have lost your way and can’t recall the simpler times of a backyard barbecue or a Fourth of July cookout, but the hamburger is a cornerstone of essential American cooking. Yes, “cooking” not “cuisine,” Jacques Pépin. And in America, we don’t put cheese on the bottom. Don’t ask me why we don’t do it, and don’t ask me who “Robert Mueller is.” Some things you just instinctively knew don’t deserve a response. And one more thing, Google (if that is your real name): we don’t put lettuce next to tomatoes. They stick to each other about as well as socialism sticks to the American dream. You want to watch a whole sandwich/country collapse? That’s how you do it. 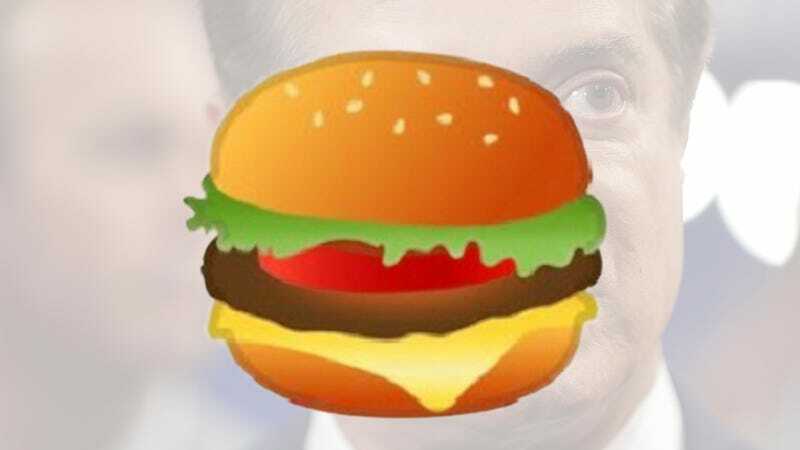 Some might say there are bigger threats: too much mayonnaise, an overcooked patty, massive money laundering fraud engaged in over the course of nearly a decade. Horse apples! We don’t pit vegetable against vegetable in this country. And don’t you dare tell me that Paul Manafort is going to flip in exchange for a shortened sentence, or that tomatoes are technically a fruit. I have a gift, and that gift is enjoying the taste of USDA Grade-C beef with both fingers in my ears. We all agree: There’s a right and wrong way to make a burger, and its the way my father made burgers, and his father made burgers, and his father had burgers prepared for him by people he considered socially and genetically inferior. So what if the glorious Big Mac has cheese on the bottom, or the beautiful Whopper piles lettuce on tomatoes on onions on pickles like full-on plant-based communism? Or a former campaign manager avoided the IRS over more than $18 million and a former aid admitted to lying to the FBI? Freedom isn’t free, and the tree of liberty must be refreshed from time to time with the emojified blood representing an abstraction of our beef cattle industry. America has become an embarrassment on the world stage.